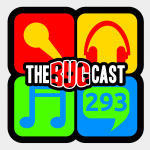 This week on The Bugcast, we bring you our selection of Christmas and seasonal music! The next show will be episode 294, which will not be recorded live, but will be relayed live in the chatroom on Friday 27 December 2013 from 21:30 UK time (UTC). The next live show will be episode 295, which will be broadcast live in the chatroom on Friday 3 January 2014 from 21:30 UK time (UTC).